(Natural News) The popular ride-sharing company Uber has filed a lawsuit in California against an advertising partner that it claims is deliberately publishing ads for the taxi-like service on unapproved websites. According to reports, Uber is targeting Breitbart News specifically, a media outlet that it says it wants “nothing to do with,” but that the advertising firm Fetch is still using as a platform to attract more business for Uber. A giant slap in the face to not only Breitbart but also its roughly 45 million monthly readers, Uber’s insistence that all Uber advertising be removed from the Breitbart platform is the latest display of disdain from the left-leaning company against conservatives. Because it sees Breitbart as representing the so-called “alt-right,” Uber has chosen to politicize its business by ostracizing Breitbart‘s entire readership, even though doing so makes no sense from a financial standpoint. Breitbart readers are no different than anyone else in that they, just like the millions of others who don’t read Breitbart, occasionally need a quick ride from point A to point B, for which Uber’s service could help them. Were it not for the company’s blatant discrimination against those it sees as its political opponents – in this case, folks who may have supported Donald Trump for president, or simply those who are tired of political correctness run amok – many Breitbart readers would likely use Uber just like anyone else. But Uber doesn’t want them, nor is the company at all concerned with treating people equally in this regard. Uber does not want a single Breitbart reader to use its service, and it has made this very clear in recent days by going so far as to sue an advertiser that was actually helping it to garner more business. 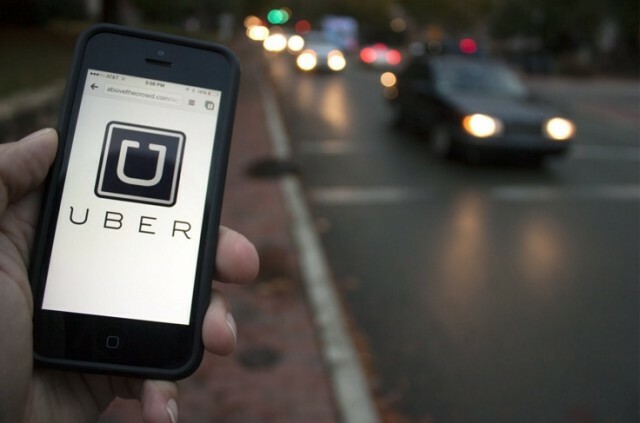 According to Fetch, Uber suddenly stopped paying its bills, not only to Fetch but also to at least 50 other small business suppliers with which Uber was partnered. This prompted Fetch to completely sever ties with Uber, which now appears to be retaliating like a small child who throws a tantrum when he doesn’t get the candy he’s demanding from his mother. After months of non-payment to Fetch and these other suppliers, Uber is bringing false claims against those it infringed to try to extort even more money, claims Fetch’s CEO, James Connelly. Uber’s reputation is already on the rocks after having been sued on multiple occasions over its drivers allegedly committing acts of sexual harassment against customers. As many as 20 Uber employees were fired in the outcome of these suits, while another 31 have reportedly been placed in counseling. Not long after this, Uber’s then-President of Business in the Asia Pacific region, Eric Alexander, was fired for illegally sharing the medical records of an Uber customer in India who was raped by her driver back in 2014. Alexander is said to have obtained the victim’s medical records while present in India, upon which he proceeded to share them with former Uber CEO, Travis Kalanick, and Vice President of Business, Emil Michael. There is also a criminal investigation currently underway over allegations that Uber has been using a special type of software known as “Greyball” that allows its drivers to evade regulators and law enforcement. Uber is also strongly anti-Second Amendment, maintaining that it is better for its drivers to die than be allowed to own a gun for self-defense. It was not long after this that Kalanick stepped down from his post. But that’s not all: The company is now embroiled in another lawsuit filed by a company known as Waymo, owned by Google, that owns self-driving car technology allegedly stolen by Uber. Waymo claims that a former Uber employee named Anthony Levandowski stole this intellectual property, and that Kalanick knew about it. Bother Levandowski and Kalanick are no longer with Uber.